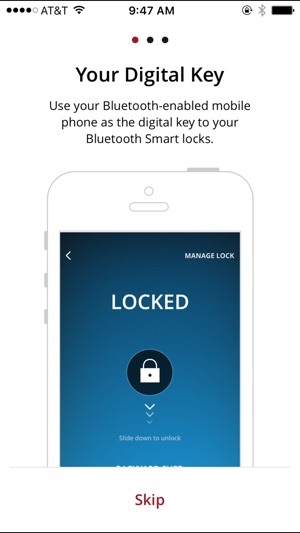 Your smartphone is the key to your padlock – no more forgotten combos! Enjoy speed & ease of use, share access, have greater control with temporary keys/codes, tamper alerts, low battery notifications and a history log. 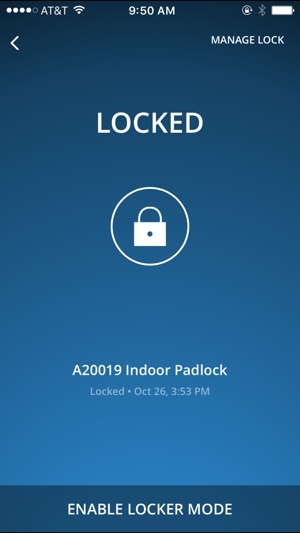 With a Bluetooth Smart-enabled device, you and your guests can unlock & lock your Master Lock Bluetooth Smart-enabled padlock using digital, encrypted “keys”. If you don’t have your phone with you, or you need to share temporary access with someone, the lock can be opened using an up/down/left/right directional code entered on the lock keypad. In default Touch Mode, the lock unlocks upon pressing any button on the lock when your phone is with you. In optional Swipe Mode, the lock can be unlocked with a swipe in the app. The lock owner can easily add and remove guests and schedule guest access to 24/7 or limit to days or nights. 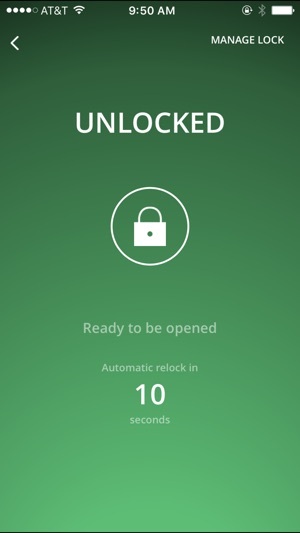 Locker Mode allows for maintaining a locked state while the phone is stored inside of a locker. The lock history log captures lock registration; unlock, open and relock activity; unlock method (via Bluetooth Smart-enabled device or directional code); date, time and user (if known); guest invitations, acceptances, access revocations; lock keypad tamper alerts; low battery alerts; Primary Code changes; settings changes (Automatic Relock Time, Locker Mode, Unlock Mode, Time Zone); reset keys activity and firmware updates. The lock batteries are replaceable and can be jumped with an external battery if the battery dies in the locked position. Two models are uniquely designed for either indoor or outdoor lock applications, with special fitment and environmental considerations. The outdoor model features a full 2-piece injection molded body cover and shackle seals for added resistance to weather and dry contaminants. It Works. But It’s Annoying and Wonky. The app definitely works with the lock box to open and close it. But the app interface is annoying. Every time you do anything - add a guest, unlock the box, have the guest accept the invitation - you get THREE separate texts. The first one tells you there’s activity. The second tells you what the activity was. The third tells you to manage your notifications in the app. EVERY SINGLE TIME. When you attempt to reduce your notifications to the bare bones, you still get three texts with every single action. Also, the invitation to a guest is only good for a week. If they don’t accept it, you have to invite them again. But the app doesn’t like that. It keeps telling you the phone number has the wrong number of digits. There isn’t a way to delete the guest and start over. So user-intensive and annoying. 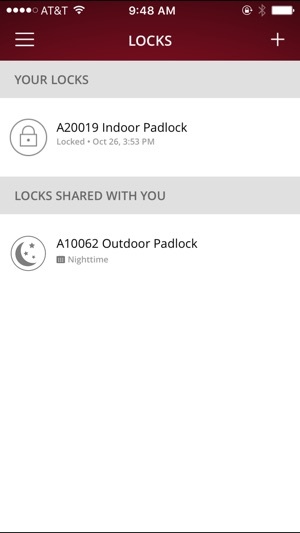 MasterLock, take a look at the sleek and intuitive August app and move into the 21st century. If my doors would accept the August lock I would use it. But I’m stuck with this clunky old thing. The app has obviously been hastily thrown together. I have a lot of issues with using it effectively. 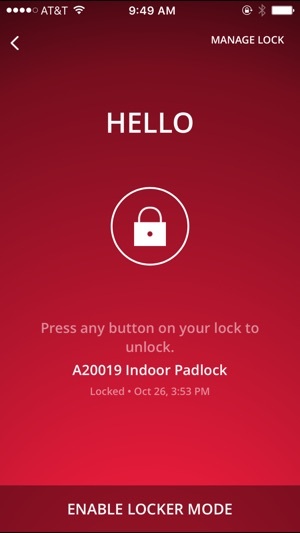 The two biggest problems are the length of time required for the app and the lock to establish communication and then how long it takes for the app to actually unlock the lock. The second issue revolves around Keychain and the password required for the lock. The app does not enable my use of my stored password, so I have to go look it up each time and copy and paste my password. Then, once I’m in, the app always tries to make me calibrate the lock with the app, even though I’ve already done that. In all, the app just feels hastily put together, with some key design decisions being neglected, probably because of cost to the manufacturer, but at the expense of the customer. The app needs an overhaul so it works quickly and intuitively. Right now I feel “locked” out of my own device. We changed our locks and made the Master Lockbox a part of our security system. The number of keys required and distributed have been reduced. The number of people on call to open doors at varying hours have been reduced. THE LOCK WORKS. One MAJOR PROBLEM: TIME. The app requires you choose a date, and 4 hour access entry window. This 4 hour window is changed to 8 hours after approval. I have spoken to Master Lock. I’m told that there is no correction for this. Result is that you are giving 8 hours of access to your property instead of 4. Else I like the lock. Have been using approximately 3 months, 65 uses. © Master Lock Company, LLC.